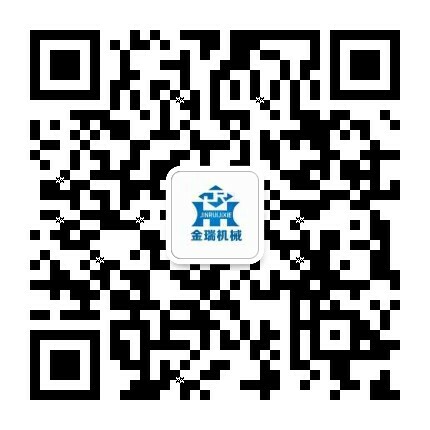 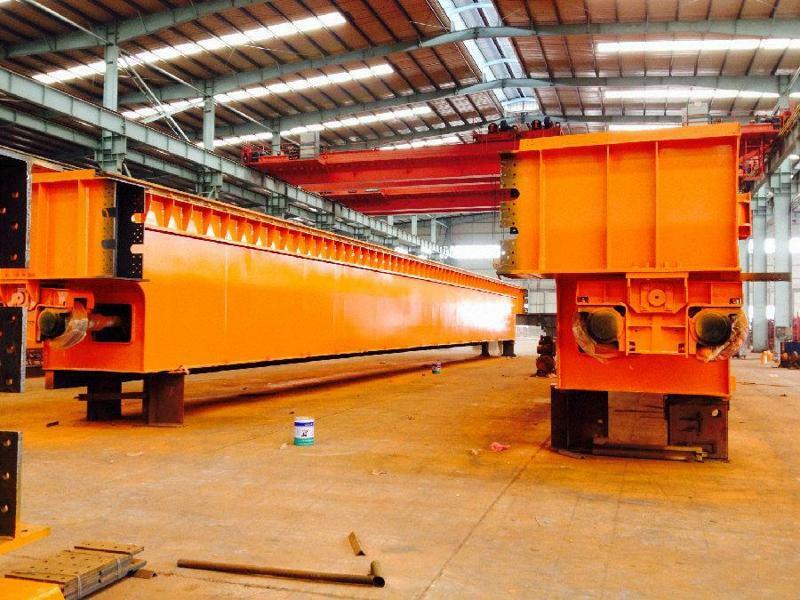 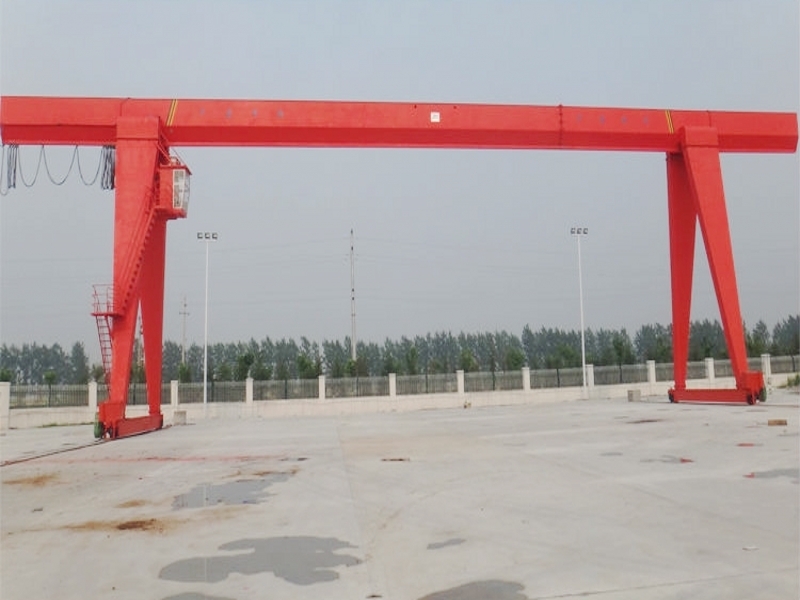 Rail Container Gantry Crane Structure - Henan Jinrui Machinery Co., Ltd.
Rail container gantry crane is the main equipment for container loading and unloading at shipyard, dock, sea port, harbor and inland wharf, etc. 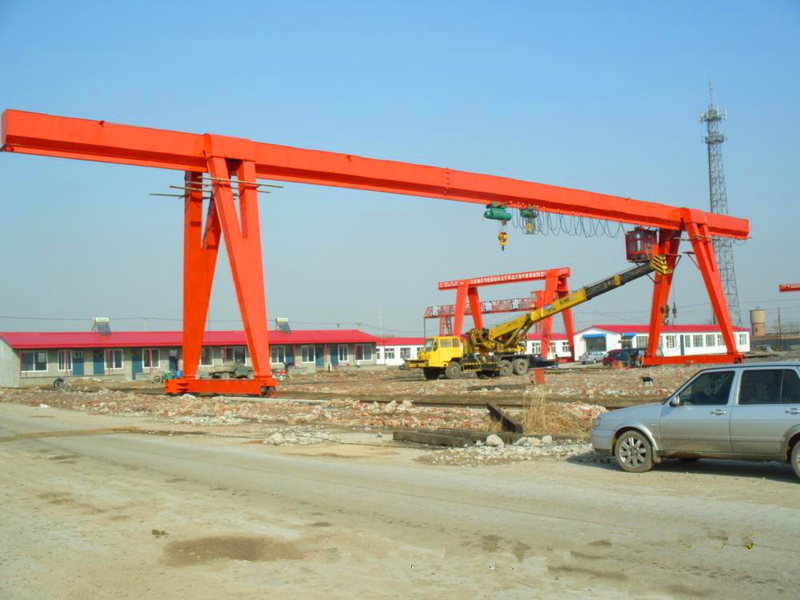 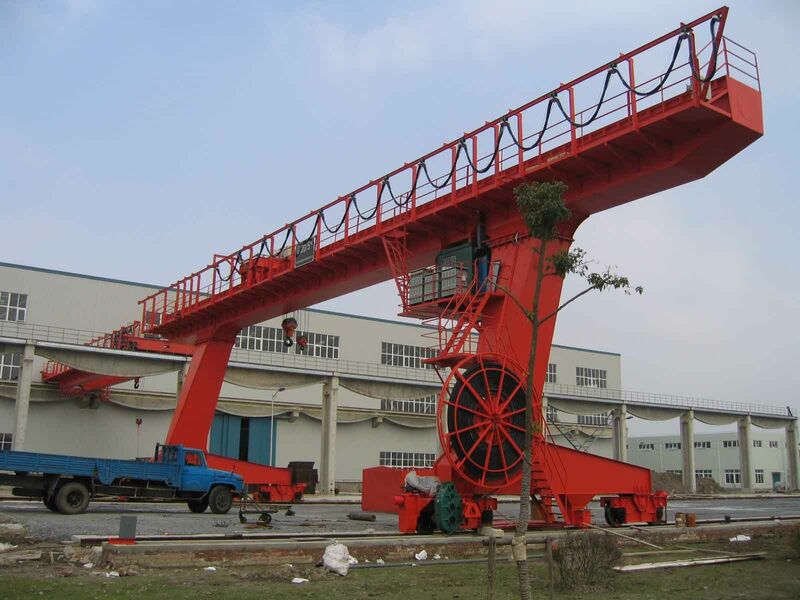 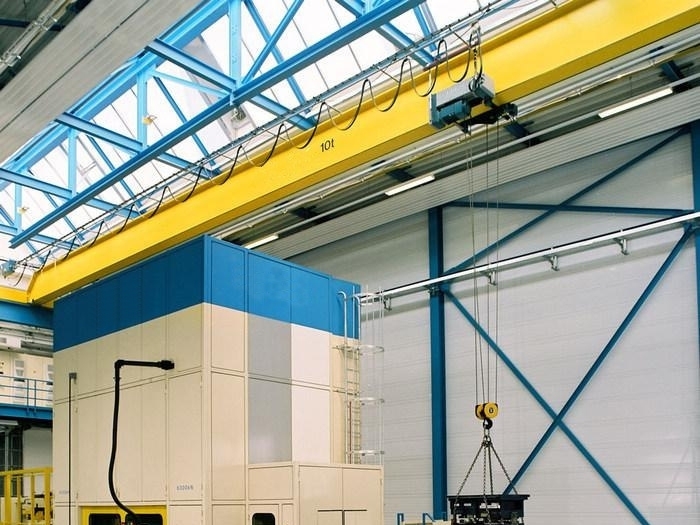 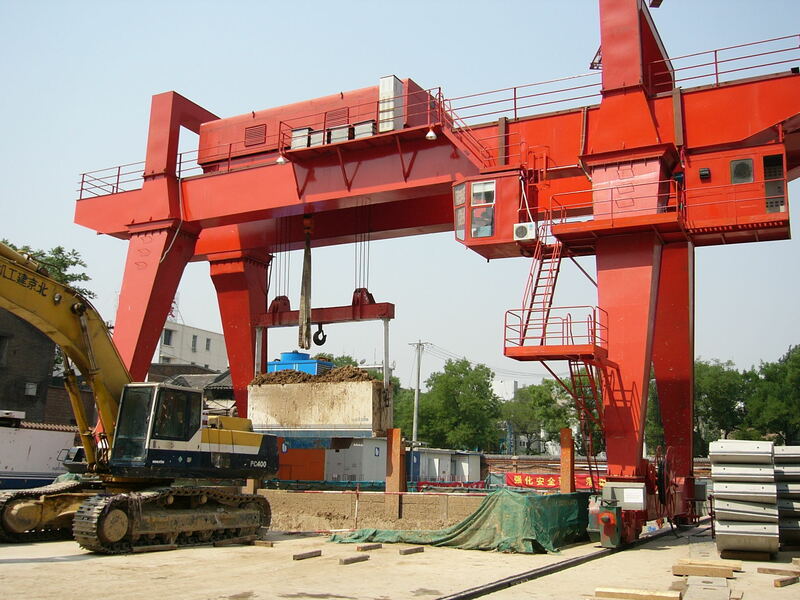 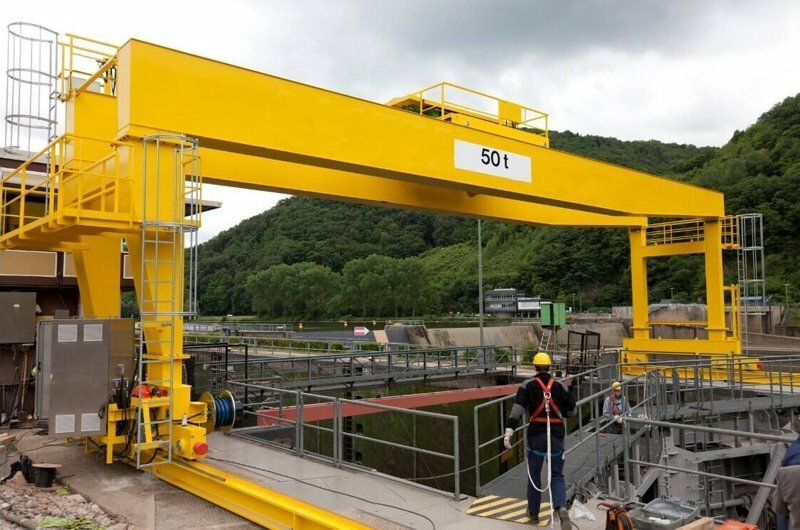 Rail container gantry cranes consist of main beam, rigid and flexible support legs, run mechanism (whole container crane traveling, trolley traveling, hoist lifting), operating system, electrical system and other components. 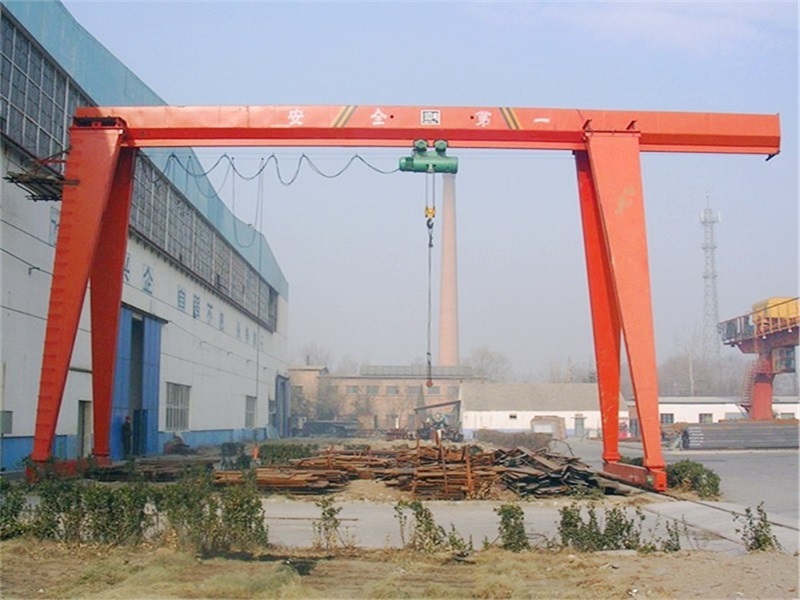 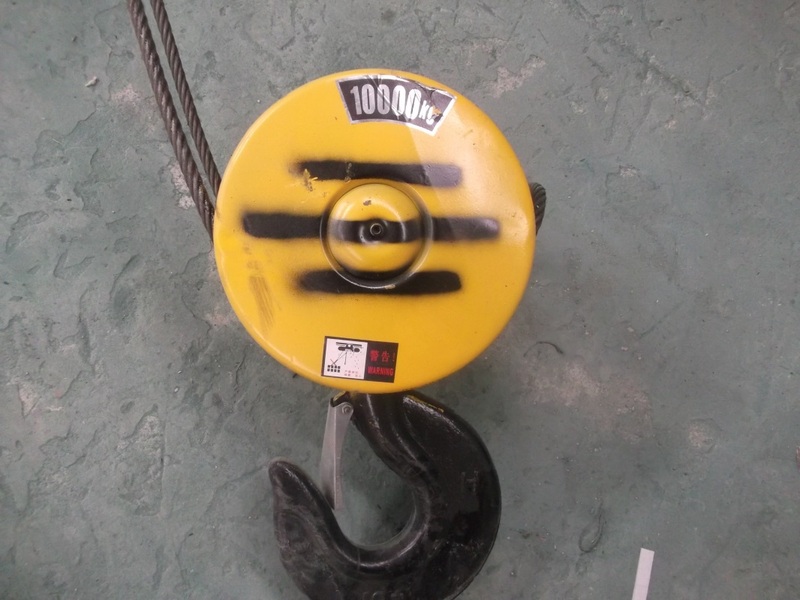 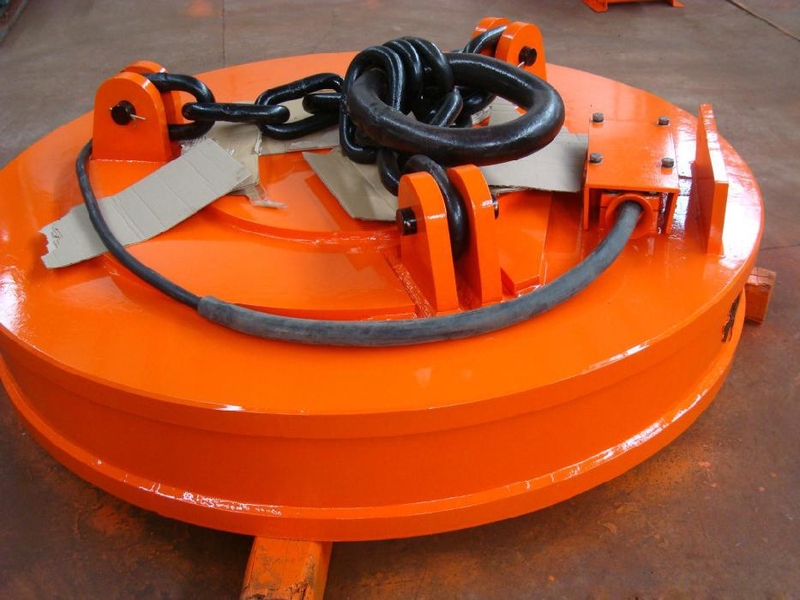 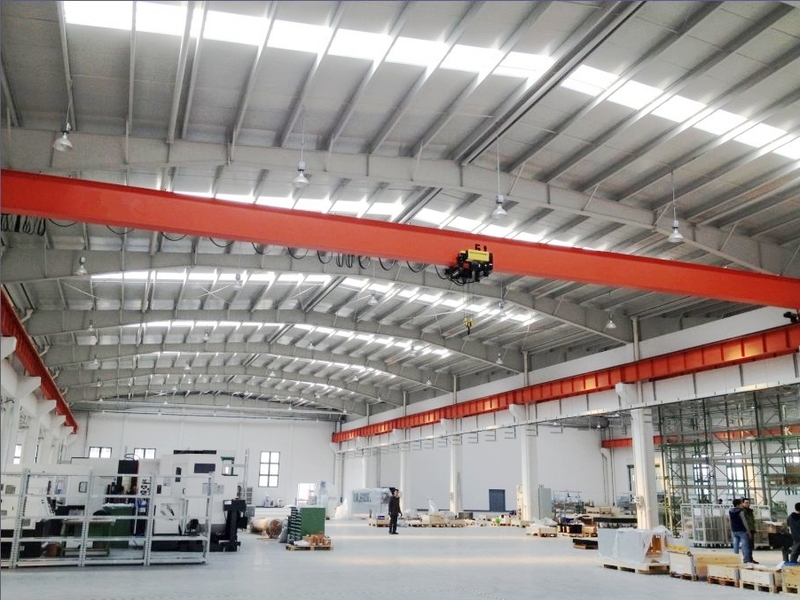 Due to special requirements for lifting the goods and workpieces, the support legs upper open into a U-shape, and link together with main beam.